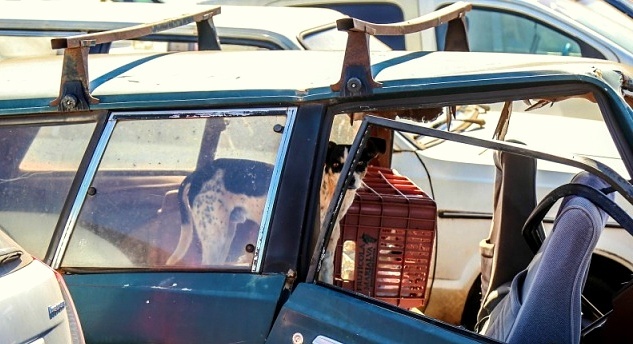 Merino and his owner were out for a drive in Mato Grosso do Sul, Brazil when they were in a tragic car wreck. His owner died, and though family members said they would take Merino in, no one ever came for him. 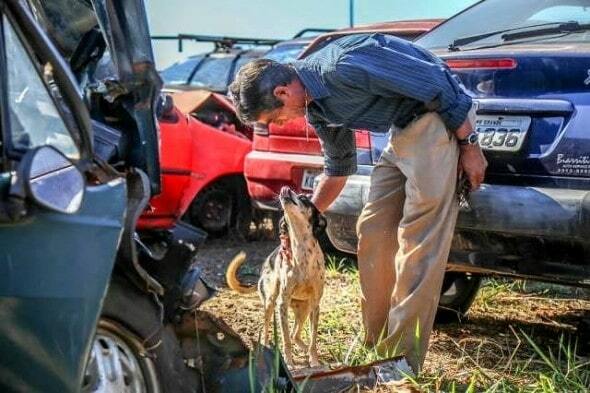 So he was taken to the scrap yard with the car, where he lived for months. One worker finally noticed him and started taking care of him, and eventually brought him home. The crash happened last September, and with no one to take Merino home, a cleaning crew towed the car away with him still inside. Family members promised to come for him, but they never did. So Merino waited, alone and confused, for the owner who was never coming back for him. 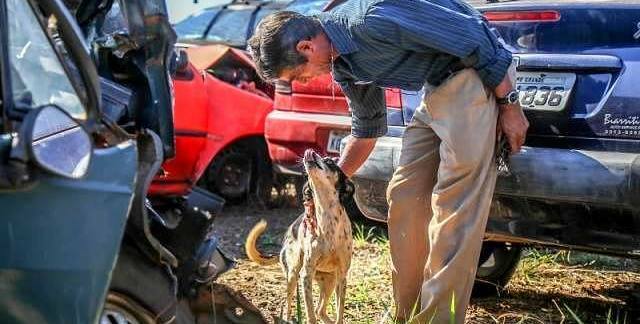 Four months after the dog first began living in the junk yard, a security guard named David Guimarães Santos was hired. 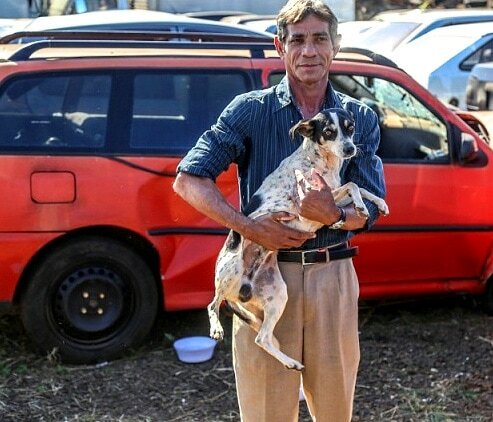 While monitoring the property, he noticed the dog taking shelter in the same car every night. He learned about Merino’s story and was deeply moved by it. David began working to earn the forlorn dog’s trust. Over time, the two became friends. While Merino continued to sleep in the car, he would spend his days with David. But then the guard was hired to work at a different location, meaning that Merino would once again be companionless. But David refused to let that happen, so he decided to adopt him. 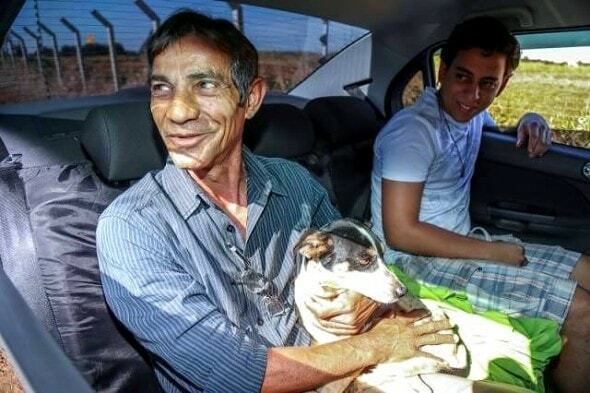 Now, 10 months after losing his family, Merino is finally going home with a new one. He was melancholy and abandoned, but he can move on with his life now that he once again has love. You will be rewarded for your kindness adopting a homeless dog with unconditional love from him. I have adopted my second abused dog. They know you are doing something so special. They are grateful for the life you have given them.